Since user registration is completely optional, and it can be disabled inside system settings, administrators (or users with appropriate permissions) can manually add, edit and remove system users. 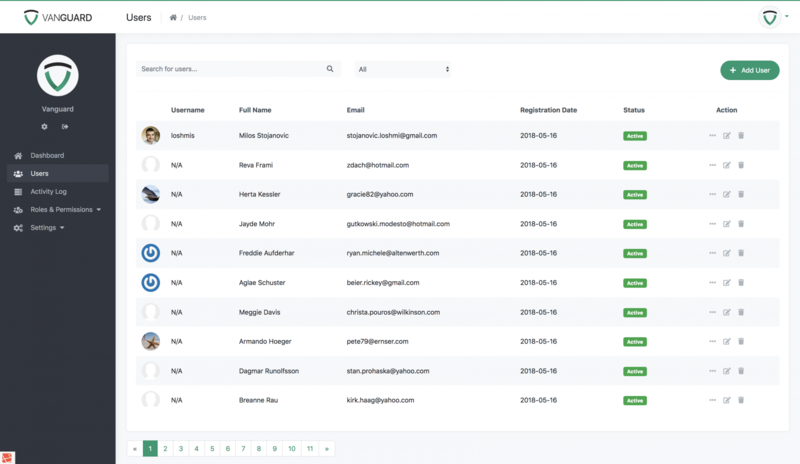 Users list page represent a list of all system users. Users are searchable by almost all attributes and can be filtered by their status. Administrators can view user profile by clicking "green eye" icon for specific users on users list page. This page represents brief user info, where administrators can quickly see some basic user details. As it is already mentioned above, users can be added to the system manually from users with appropriate permissions. The form for adding a new user is displayed below. 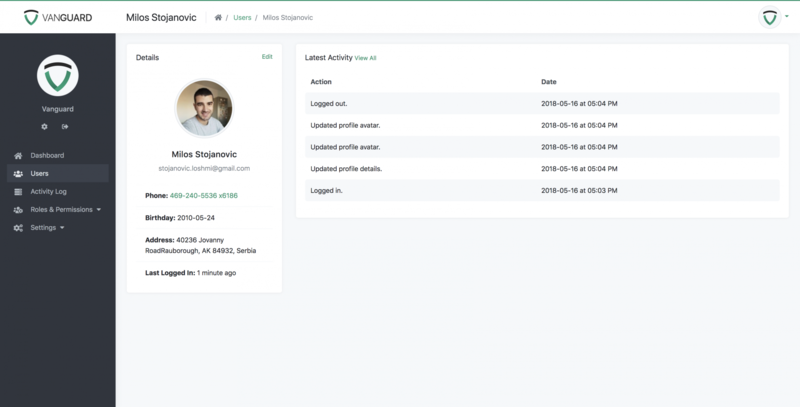 Administrators can edit all user details, update their avatar and invalidate their active sessions. 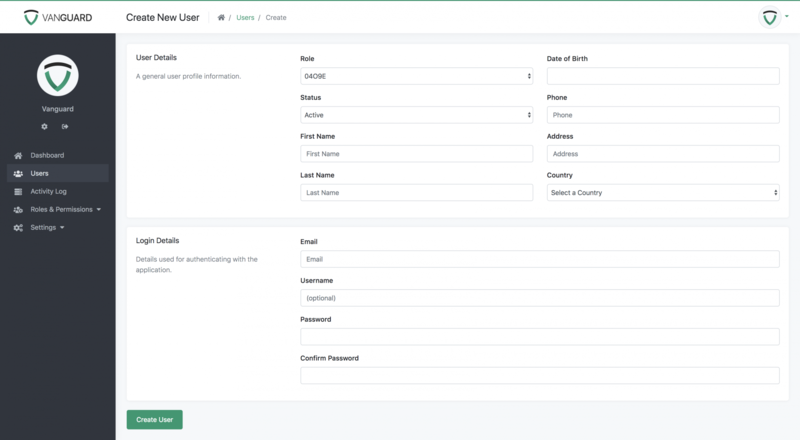 The form for editing user details is the same form that every user see when he edits his Profile, and the only difference is that user role and status can now be changed by the administrator.